Chromium trioxide is in stock. We are successfully exporting our chromium trioxide world-wide. Chromium trioxide is the inorganic compound with the formula CrO3. It is the acidic anhydride of chromic acid, and is sometimes marketed under the same name. Our Chromium trioxide has a minimum of 99,7 % CrO3, with very low impurities. We can supply this substance from stock in the Netherlands. Minimum order quantity is 25 kg. 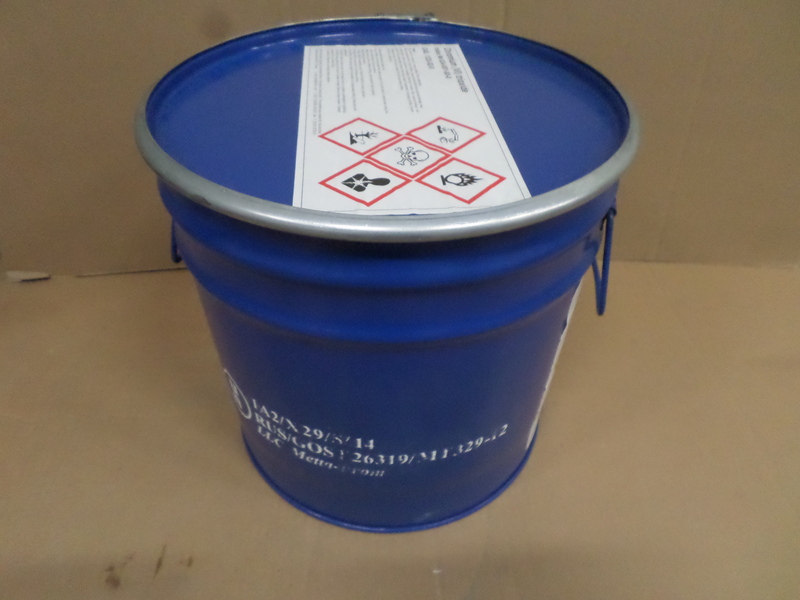 Our Chromium trioxide is standard available in 25 kg or 50 kg UN drums. Other packing is available on request. We can also supply a Chromium trioxide solution (Chromic acid). In general the delivery will take 2-3 working days, but his depends on your order. Of course, we are able to offer free delivery to all destinations world-wide. Buy it at Gentrochema chemical wholesale. Gentrochema BV is specialized in the trading of niche chemical products on a global scale. In order to buy chemicals you must be 18 years of age or older and registrated as a legal company. Gentrochema will NOT sell any chemical products to private persons.